Close to Colliers Wood tube station. Parking next to restaurant, and also access the road. We don't hold any responsibility for vehicles left. 3hours free. 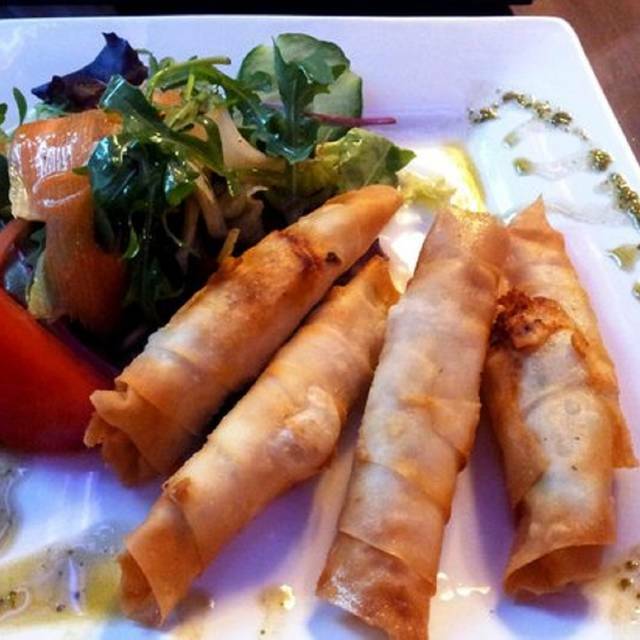 Istanbul Meze Mangal Restaurant brings you the authentic taste of traditional Turkish food inspired by the Mediterranean and the Middle East to South West London. Experience genuine Turkish food as it is regarded as one of the world's great cuisines. Whether it's a large formal party or small family gathering, Istanbul Meze Mangal Restaurant is the perfect place to host your special event or simply enjoy a meal in the friendly and relaxing atmosphere. 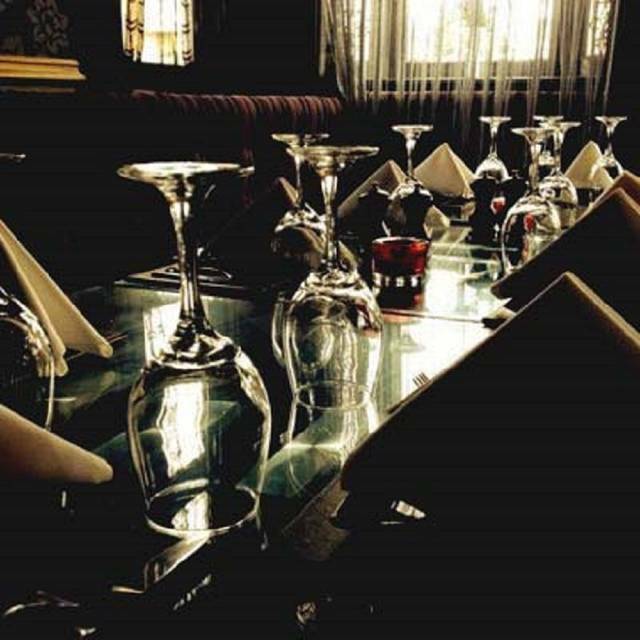 We hope you will visit us and have an enjoyable dining experience. We are open until 1 am most days, however the inside restaurant closes at 11pm, with the kitchen closing shortly after this. We really enjoyed our visit to Istanbul on Saturday night. Arrived at 7.30 and there was a big party finishing up, but this didn't affect the level of service. We ordered a mix of lamb and chicken dishes, all of which were cooked very well - in massive portions. We also really enjoyed watching the belly dancer - with one of our children taking the opportunity to get up and have a dance with her! Great value, and great atmosphere. Kids enjoyed the belly dancer. Food at Meze is really good and tasty, but I will not come back. It is extremely noisy as music is high, too high. Despite asking twice to the staff (specifing that for personal reasons it was extremely uncomfortable and was giving me distress) the music noise was not reduced. Food and drinks are lovely, tastes amazing and affordable. Staff is very friendly and helpful! Good shisha, nice atmosphere! We booked for my daughters birthday for 12. The table we was given was very small and some members couldn’t fit around. I was told there was a child menu to find there wasn’t one. We felt rushed to order off set menu we had to keep asking for more bread for dips and starters. Drinks took 35 mins to arrive the table behind us was very loud and we kept in getting knocked on the back of the chairs. I feel for the money we payed over £300 in total didn’t deserve the service charge we payed which i shall be seeking to get back. Amazing food. Excellent service and hospitality from the staff. Baris surprised me with a big slice of chocolate fudge cake with vanilla ice cream and the staff including Baris sang and wished me happy birthday. Enjoyed the belly dancing as well. I would 10000% recommed this restaurant to everyone and I will definitely go there again! Absolutely loved it. Best restaurant I've been to so far! Had a great first visit IMM and spoke about coming back with additional friends during the meal. A really nice athmosphere with a great mix of ages and nationalities. There aint much you could tell these guys about grilling meat. Parking is a bit of an issue and I noticed that some people parked deeper in the space will have difficulty getting out later. However, there is three hours free parking across the road although space is limited as the former Toys Are Us outlet has been re-developed into an Aldi. Why the local planners didn't insist on the addition of multi level parking is a mystery given the predictable vastly greater footfall of a FMCG outlet. We had the special meal for two that served three of us (one with a small appetite) with the addition of o portion of chips. We had soft drinks and baklava to round off a very satisfying and varied meal. We did not quite manage to clear the generously filled central platter. We left at a very reasonable cost of £66 which included the well-deserved 10% service charge automatically added to the bill. Those families present (some of Turkish descent) made the visit a bit more affordable by opting for the healthier option of jugs of water and the family platter options. No sign of a belly dancer - perhaps there isn't one on a Friday evening? Very sorry we forgot to hit the Shisha bar after - will do next time if they have nicotine free flavours. Worst experience ever. Booked a table for 9.15. Got a call a day before to confirm the booking. Got to the restaurant to be told there no tables available for at least an hour !! Cannot believe that. The waiter was very rude and kept saying we are a busy restaurant and can only do what we can do. Decided to come to another restaurant who welcomed us. This was meant to be a meeting with old friends and we were highly recommended the place. Never going there again. VERY UNHAPPY. I want the manager to call me and explain to me what happened. !! Great service, great staff, look forward to coming back again. This place is always busy when we have walked past. Mains which were all meat kebabs on the coal (there were veggie options) and starters were all good We were a bit mythed when the waiter forgot to bring our Turkish coffee over, he then blamed the coffee machine wasn’t working and offered a didn’t type of coffee. Found this a little lazy Turkish coffee is made on with a pot on the stove! Wasn’t happy at all on Saturday. Over priced for set menu wasn’t told when booking tht they would only be doing a set menu. Food was cold and just thrown on plate. Felt like we were being rushed our food even though none of us touched our mains as they were cold and looked appaulling. Gutted to have had this experience as I’ve heard good things but on Saturday that wasn’t the case at all.. over priced for rubbish food and service. Nothing outstanding about the food but staff friendly enough,though service not very quick. Good place for get together but overpriced and they’re not very good for bringing your change back;they assume whatever you put in,is their tip,even though they take off a service charge!! I have been here many many times and it never fails to impress me ! Amazing food, big portions, great cocktails- fantastic entertainment and the staff couldn’t do anything anymore to ensure your evening is going well! There’s a reason they are always very busy and fully booked ! I love this place . Cane here as a last minute booking for my daughters 18th birthday meal. As usual, the staff and service was exceptional. I love coming here because they go out of their way to keep the customers smiling. The food was delicious, fresh and plentiful. Accommodating, friendly, kind and professional. We went to Istanbul on a Saturday night to find a great atmosphere with lots of diners, but also lots of staff, which was great. The service was quick and friendly, and the food was delicious. We had a mixture of lamb, chicken and veggie options, all of which were devoured. We also thoroughly enjoyed the belly dancer! Would definitely recommend. The standout features at this venue are the food, the attentive service and value for money. The venue is ideal for everyday dining, (and is definitely Paleo friendly). We tried this restaurant as it was my father's birthday and he adores Turkish food. We were not disappointed with the quality of the food. The waiting staff were also very considerate, and provided a few decorations (balloons and a banner), a slice of cake with a candle, and some complimentary Turkish coffee. We were told that they provide great cocktails, and even have a belly dancer on Friday and Saturday nights - so we'll definitely be back to explore an "evening" session! Great service and lovely food. Ordered lots of meze to take full advantage and was such good value. Will definitely be returning! A very nice authentic Turkish restaurant, I came by myself for shisha and food. Shisha was lovely as was the food, the staff friendly, but the most enjoyable part was the very relaxed and calm vibe, an immensely chill environment. Ordering takes longer than 30mins to wait until you get attended to make your order. Not enough space to walk around inside...not sure outdoors. staff are very hospitable and kind. Love the surprised Belly dancer show...me and my GF enjoyed it. We went to Istanbul for Valentines, the table & settings were decorated beautifully and the service was great. We really enjoyed the food and thought the pricing was very fair, although we found the wine list fairly limited with not many cheaper options. Been visiting this venue though years. Been surprised (not pleasantly) with new staff members, who keep putting different sort of music on in the shisha garden. Which usually was ambient area to chill out, became party house for few young guys, who work there, and enjoy bits of their music from their phone. Food was brilliant, though, had to ask for main to be taken back as waiter brought it 2mins after bringing in starter (there was not even a space on a table to put plate on). Coming to this venue predominantly for shisha and food, we had to wait an hour for shisha guy to arrive too(we had our table booked for 3pm). Will come back to see if anything changes, but if service stays at same level, I will have to go somewhere else. Waiting staff should at least understand English, even if they can't speak well!